CMA-Fest 2008 is already going strong.... Day One at the Convention Center was very B-U-S-Y! And Con loved it!! 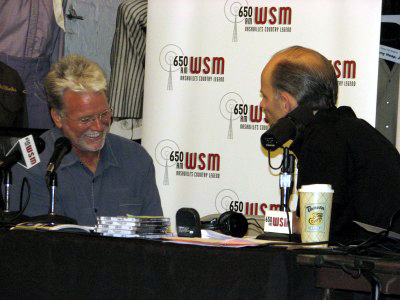 After a wonderful day of meeting and greeting fans from all over the country, Con rushed to an interview with Eddie Stubbs of legendary WSM Radio. 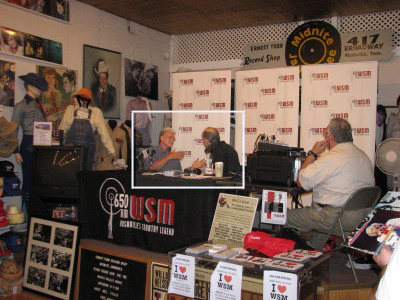 The interview with Eddie was conducted during a live-remote from Ernest Tubb Record Shop. This Nashville landmark bears the name of it's noted founder and country music legend, and is next door to the Texas Troubador Theater. 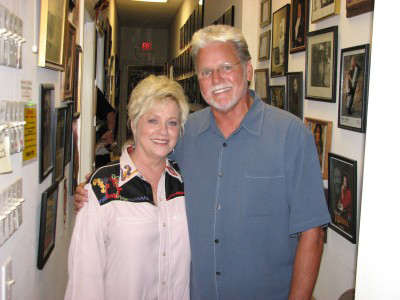 The Theater is home to the Midnite Jamboree, a show that features various country music artists every Saturday night. The show airs live every Saturday night at midnight Central Time. For more information about the show visit WSMonline and click "On-Air Schedule", or go to www.etrecordshop.com. Customers take a break from shopping to listen in on all the fun with Con and Eddie! ...and of course sharing a few laughs! It was a great interview, and Eddie is just one of those great guys that makes you feel like you've known him all your life. 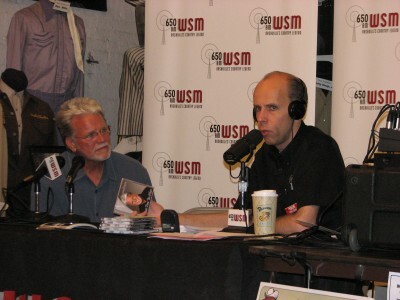 Con and Eddie also announced the lucky winner of two free tickets to Con's show at the Country Music Hall of Fame coming up on Saturday night, June 7. As Con was leaving he ran into another good friend and fellow artist, Connie Smith. She is as beautiful as ever! 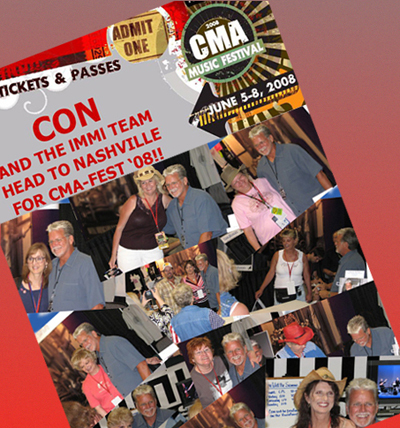 It's been a great first day at CMA-Fest 2008, and the fun doesn't stop! 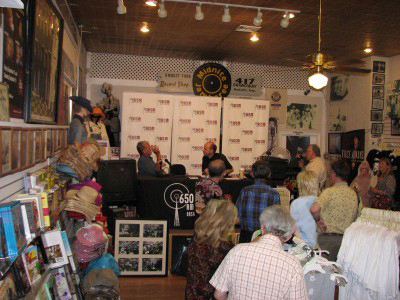 Be sure to check out photos from Con's Friday interview with good friend Bill Cody!